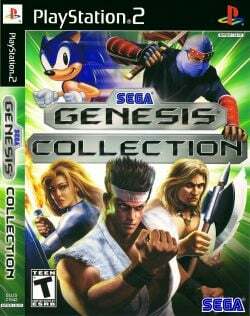 Game description: SEGA Genesis Collection features over 30 titles including, Altered Beast, Sonic The Hedgehog, Shinobi III, Phantasy Star, and the original SEGA Genesis version of Golden Axe. SEGA Genesis Collection also features numerous unlockable items that delve into the soul of the Genesis including interviews with the original developers that created the games featured in the collection, a museum area with interesting facts about the games, a hint area to help gamers complete their favorite SEGA Genesis games, and SEGA arcade games from the Genesis era. This page was last edited on 18 February 2017, at 18:09.